All Spice Oasis Inc. products are all "top-of-the-line"
At Spice Oasis Inc. we purchase the finest herbs and spices from countries in every corner of the world. We process it using state-of-the-art equipment, then offering it to our clients as herbs, spices, or custom spice blends. We only purchase the best quality and freshest natural herbs and spices (with the highest oil content) on the market. Then we carefully and thoroughly mill, crush, blend, cut, sift, clean, re-clean and sterilize the herbs and spices. This is done weekly to assure freshness. The excellence continues when we expertly blend and package your order so that every pinch is consistent, whether your order is a small jar or a truckload. If cooking is your hobby, your profession or your business, Spice Oasis Inc. is your source for whole or ground spices, and custom spice blends in small spice jars or bulk quantities. Please take a few minutes to read more about the company, our premium spices, our commitment to quality, and our custom blending. You won't find a better, more reliable or reputable source for your spice products with a quick production times. 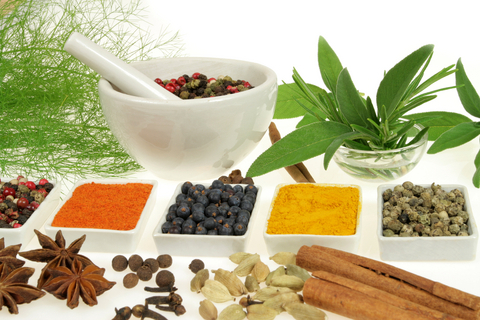 Buy spices online now or contact us for more information about how to buy spices from us .